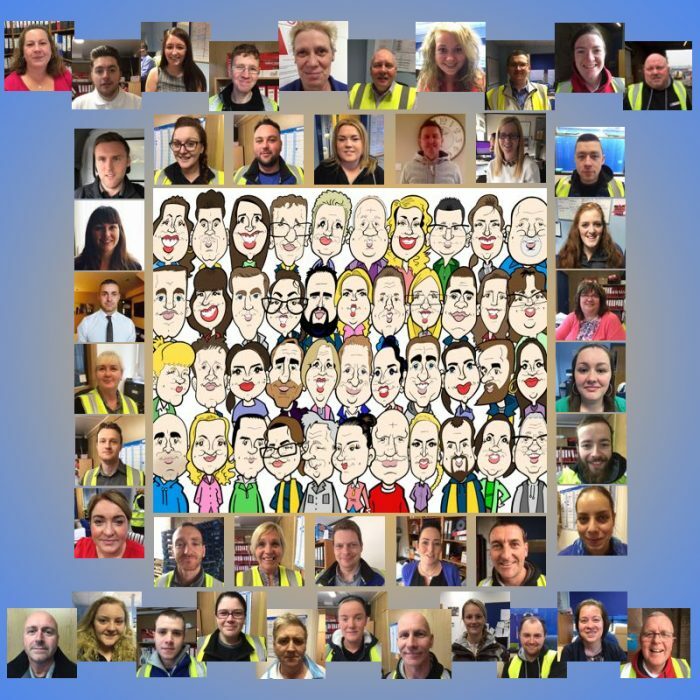 Studio Head Chris Sommerville caricatured of over 40 members of staff at Lomond, a fine food wholesaler based in Glasgow to feature in their new promotional calendar for 2016. Lomond wanted a humorous and slightly cheeky approach to their promotional calendar for the new year and decided to opt for caricatures. They also wanted it to be double sided, with a complete set of twelve monthly illustrations for the ladies and gents at the company. In addition to references to the passing seasons the cartoons each had to feature particular products that Lomond sell as their suppliers would be advertising in the calendar too. In this way the giveaway calendar would help remind customers of both the staff and their product range. A complex brief that required a long-lead in time, the calendar was on the drawing board for eight weeks, with sketches going back and forth between us and the client for approval before finalised artwork was sent to their design company. See more group caricatures in our dedicated gallery and please contact us with details of any projects you’d like to discuss.